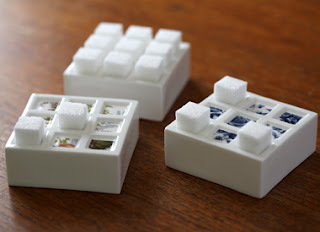 A brilliant way to display your sugar cubes from Kathleen Hills. This would not last two seconds at my gaff - sugar cubes eaten, replaced by lego bits etc etc - but in my dreams I live in the sort of house where this would not look out of place (you know what I mean: lots of white surfaces, beautiful wallpaper, expensive modern furniture in natural wood, everyday crockery from Skandium. 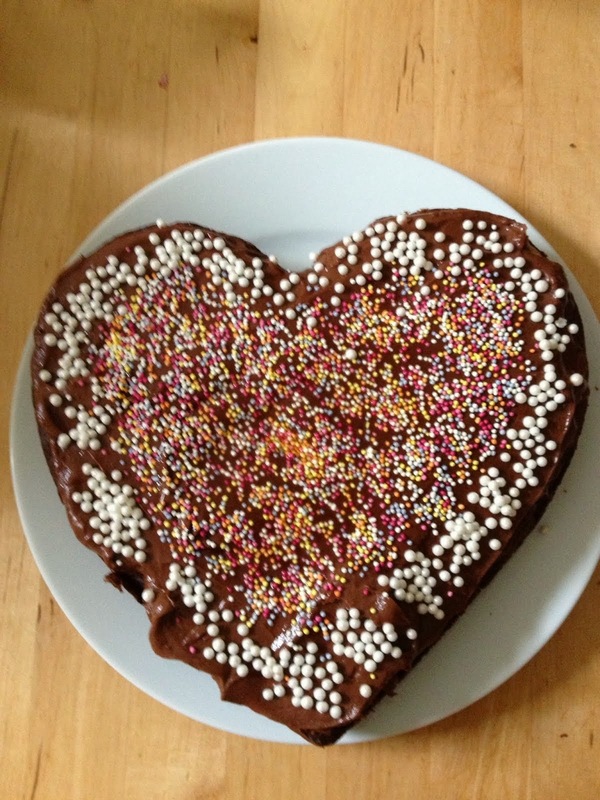 And people dropping round for cups of tea, rather than hordes of kids stampeding into the kitchen for fishfingers and pasta). 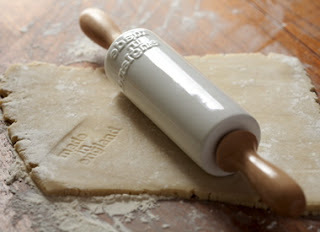 Another great idea - when you're rolling out biscuit dough, or making a pie use this rolling pin - but somewhat limited geographical usage...? These two-headed Milkii bottles really do have something of the nuclear-power-plant-leakage about them, but I like them nonetheless. 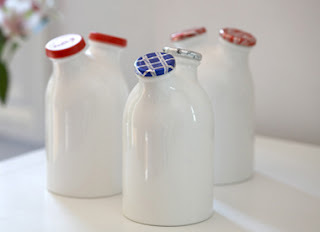 Perhaps it's something to do with those milk bottle tops from childhood days (green was for unpasteurized milk, the very best from the Jersey cow that our friend kept). Vague memories of collecting bottle tops for Blue Peter.